Nourishing food for the family. 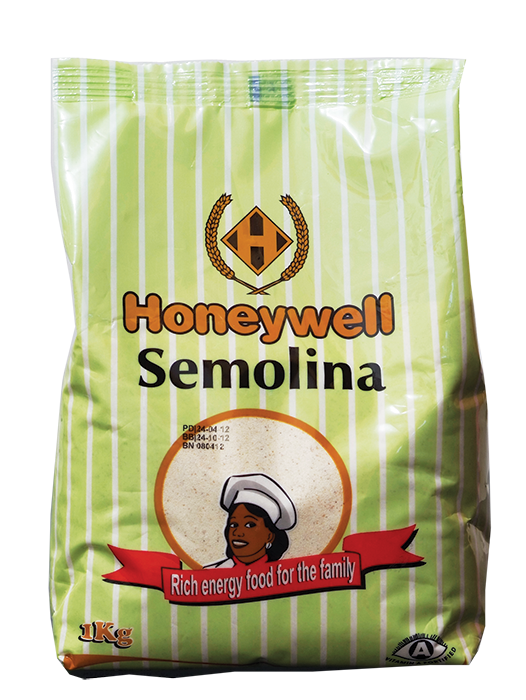 Honeywell introduced their own brand semolina in 2006 as a ready-made alternative to local food items. Since then the brand has grown immensely in popularity and is now one of the foremost semolina brands in Nigeria. Honeywell Semolina possess superior quality making it easy to prepare and a pleasure to eat. During preparation Honeywell Semolina absorbs water and changes consistency easily, making it the ideal choice for people leading busy lives. Unlike other brands Honeywell Semolina is easy to mould by hand, comparable or even better than pounded yam – it doesn’t break up. Honeywell Semolina retains its freshness, firmness and consistency long after preparation, so it can be prepared and stored.